The Level On Wireless connects to your phone via Bluetooth and has a touchpad on the side to control playback of music, calls, and features like S Voice. 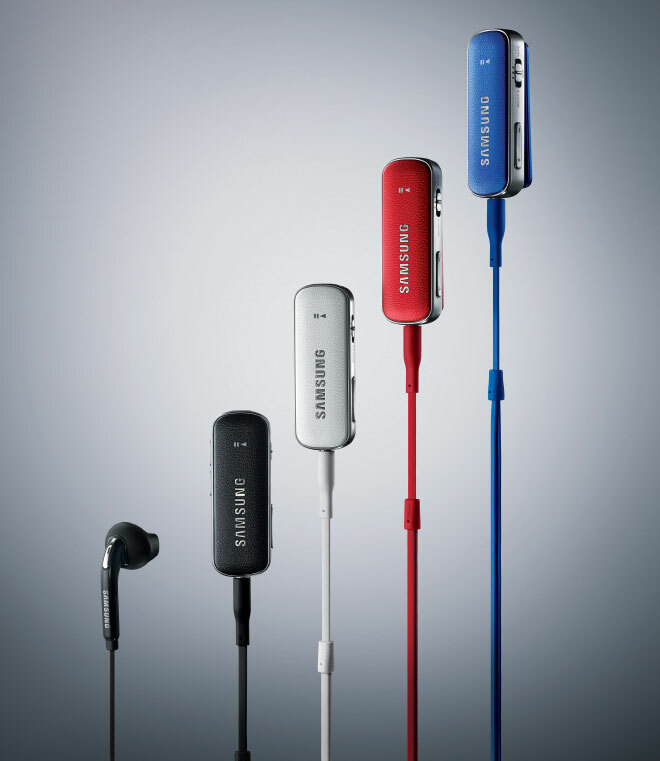 It also has six built-in microphones that are used for the active noise cancellation feature. 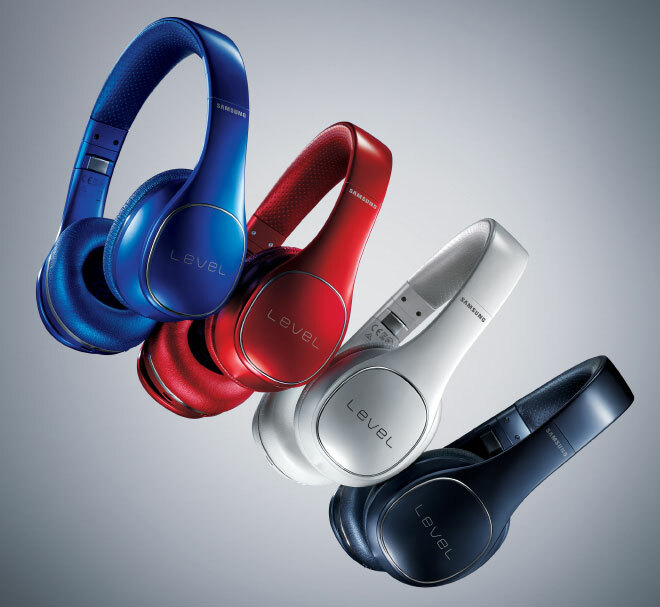 Unlike the Level Over headphones, the Level On have a supra-aural design, which means they sit on your ears instead of around them. The other product is the Level Link, which is a small Bluetooth dongle with a 3.5mm headphone jack, where you can plug in your earphones, headphones, or an audio system and then play your music wirelessly through it. But the Level Link works two way, so you can, for example, connect your TV to it through the headphone jack and then the device will transmit audio, which can then be received by another Bluetooth headset. This allows you to turn any audio source into a wireless transmitter of sound. The Samsung Level On Wireless is priced at 275,000 South Korean Won ($257) and the Level Link is priced at 77,000 South Korean Won ($72).